My Creative Stirrings: NEW DATE NIGHT IDEAS!!!! I have spectacular news! 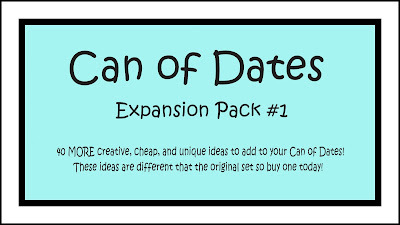 My Other Half and I just completed a Can of Dates Expansion Pack! 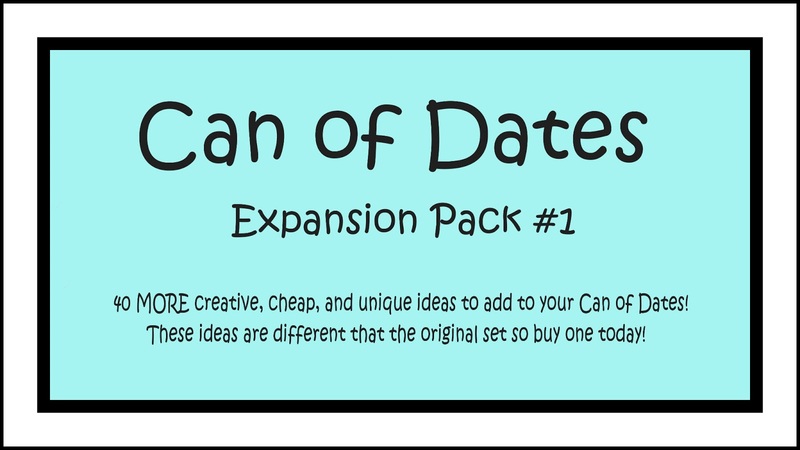 We are super excited to offer this new product in our Etsy Shop as it is filled with fun, cheap, and original date night ideas! It is incredibly affordable and offers you 40 unique date night ideas for home and on the go. This is more than worth its weight in memories! Give it as an Anniversary, Valentine's, Birthday, or Wedding gift. Picture Scavenger Hunt- We would like you to join us for a picture scavenger hunt. Using a camera find as many items as possible on this list and photograph them. The couple who sends their list first, electronically to the other, wins the game. RULES- Do your best. You cannot copy others pictures! Use your creativity if you do not have an item.